Visit Mammut's Lucido TX1 Belt page. 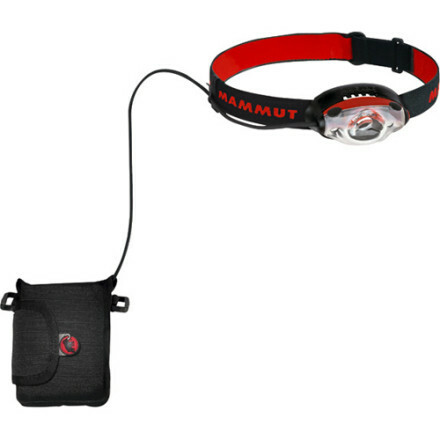 Utilizing an external battery-case for three C-cell batteries the Mammut Lucido TX1 belt offers high lighting output with an extremely long battery life span. The path finding functions of the TX1 with almost three times the operation time from the power of three C-cell batteries in the external battery case. 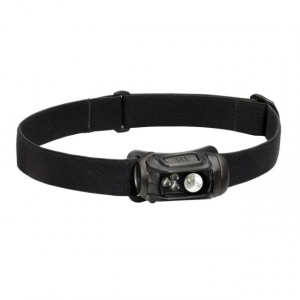 For permanent light on expeditions, night-time searches and in caves. 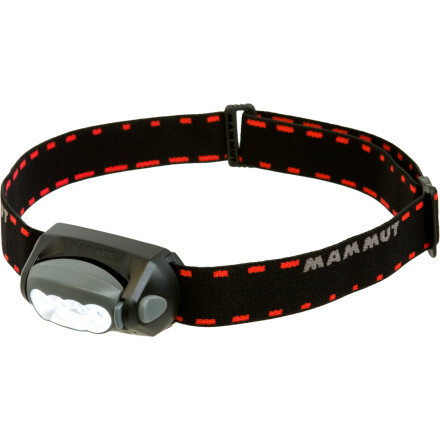 With a burn time of up to 450 hours on high power, the Mammut TX1 Headlamp is ideal for extended expeditions and big-mountain treks where thereAs no room for extra batteries. The TX1As three LED bulbs and variable brightness settings make it great for rescue or work situations, and the external battery pack cuts the weight on your head. Mammut also gave it an adjustable elastic strap and a tiltable housing to help you tweak your fit. 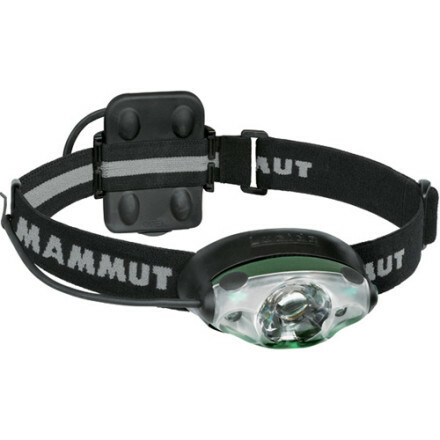 The Mammut Lucido TX1 Belt headlamp features an external battery pack that houses 3 C-cell batteries for extended operation during climbing expeditions, caving adventures and nighttime searches. External battery pack holds 3 C-cell batteries for loads of power; keep the battery pack in a pocket to keep the batteries warm during mountaineering trips. 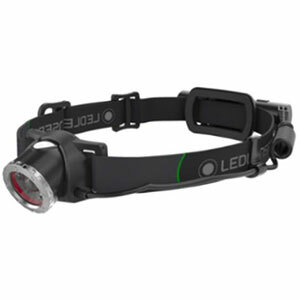 Cutting-edge Lucido lighting technology gives the Mammut TX1 headlamp excellent efficiency and versatility for use while skiing, biking and climbing. High-quality Total Reflex Optics lens focuses light efficiently and evenly across your field of vision for excellent peripheral vision. HiFlux 1-watt LED in the center blasts a bright beam up to 105m; 2 superbright LEDs provide excellent floodlight performance. High and Mid floodlight settings offer 14m and 7m of illumination, respectively, with up to 450 hrs. of battery life on Mid. Activate all 3 LEDs in Speedlight mode for long- and close-range lighting. Floodlight dispersion angles are designed to match your peripheral vision, thereby reducing dark spots. Switchlock mechanism protects the lens from impact and prevents light from accidentally being turned on while in your pack. Operates on 3 C batteries, sold separately. 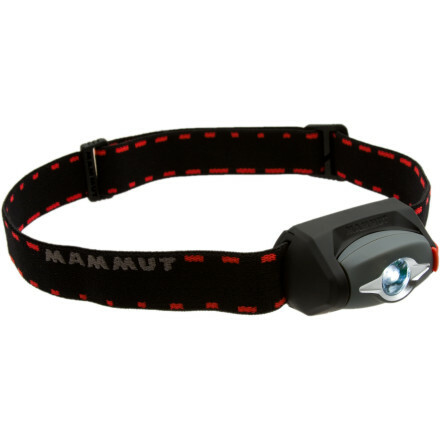 The Mammut Lucido TX1 Belt is not available from the stores we monitor. It was last seen November 5, 2013	at CampSaver.com.